Q I am a 75-year-old woman. For two years, my chest, back and head have been sweating at night when I sleep. It is so bad that I have to change my T-shirt, sometimes two or three times a night. During this time, I also pass urine. Doctors could not tell me what is wrong. I went to a traditional Chinese medicine (TCM) physician, who prescribed dried herbs. For two days, I stopped sweating profusely, but the problem came back. I have looked up hyperhidrosis online, but found no help. A Night sweats, known as sleep hyperhidrosis, refers to excessive sweating during sleep that is not related to the environment. It is quite common in elderly people. Sufferers are often roused by damp sleepwear and bedsheets, like what you have described. While night sweats may be relatively harmless, they can be a sign of a serious underlying disease. They include endocrine disorders like diabetes, infections like tuberculosis, and anxiety. Some medications can also cause night sweats. In TCM, this problem is linked to the kidneys, lungs and spleen. Kidney yin and yang are the root of yin and yang in the other organs. The two elements keep each other in check, maintaining a dynamic physiological balance. But kidney function tends to degenerate very quickly in post-menopausal women, such as yourself. Chronic ailments can affect kidney health too. When kidney yin is lacking, for instance, it triggers night sweats with hot flashes in the afternoons. And if this persists for a prolonged period of time, it can weaken kidney yang. A person deficient in both kidney yin and yang will then suffer from night sweats with fatigue, heart palpitations and shortness of breath. Insufficient kidney yang may weaken lung qi, too. In TCM, the lungs regulate sweating and the passage of water in the body. When the lungs are affected, your night sweats will be accompanied by frequent urination. You may also have loose stools. The spleen, on the other hand, absorbs and converts nutrients into qi and blood. But it can be weakened when you eat too much cold, spicy and oily food, which leads to nutrients being transformed into phlegm and dampness instead. This gives rise to night sweats mainly on the chest and back. One may also have a poor appetite. A knock-on effect is poor blood circulation, as a weak spleen will be unable to produce enough qi and blood. In this case, night sweats will occur on the upper body, coupled with pain in the head, chest or back. Chinese medicine, acupuncture and cupping therapy can help to strengthen the affected organs. For instance, types of Chinese medicine that boost the level of yin include turtle shell, rehmannia root and common anemarrhena rhizome. Herbs commonly prescribed to boost qi are milkvetch root processed with honey, Indian bread and calcined oyster shell. Kidney yin and yang can be improved with white peony root and Chinese wolfberry root-bark. To strengthen the spleen, try coix seed, bitter apricot seed and talc. 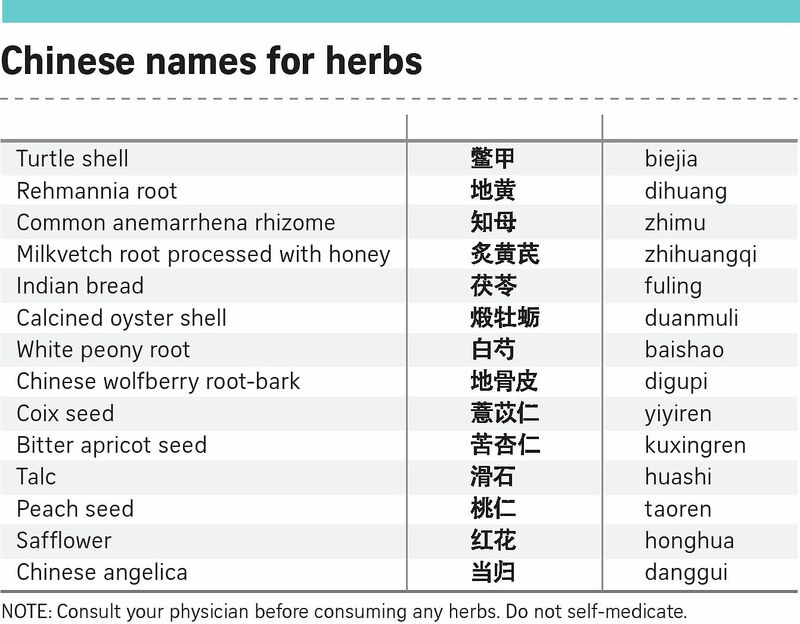 Peach seed, safflower and Chinese angelica are used to enhance one's blood circulation. Besides herbal remedies, try to avoid staying up late, which can deplete one's yin. Keep your bedroom airy and cool. Stay away from cold, spicy and oily food, as well as alcohol and caffeinated drinks. This will help to reduce phlegm and dampness. If you consume any diuretic medications, take it earlier in the day. You should also avoid drinking too much fluids before bedtime. Food products such as sea cucumber, pears, beancurd, green beans, lotus root and fish porridge will help the body to produce more qi and yin, which reduces night sweats. If your problem stems from poor blood circulation, try to do regular exercise like such as brisk walking and swimming to get the blood flowing. E-mail your question to sthealth@ sph.com.sg. Specify Sinseh Says as the subject and include your name, age, gender, identity card number and contact details.